Wearing your country’s colors at any event is something that fills players with immense pride, but doing so at a World Cup is a feeling that all soccer players dream of, even as a young child. All of that training and playing soccer every waking minute has paid off and they are finally on the biggest stage soccer can offer. What is even better than simply representing your country is scoring a goal for them at the famous international tournament. Over 3 billion people tuned in to watch the World Cup in 2014, so being a World Cup goal scorer is a pretty big deal. While many players will be happy just to get one, other players are focused solely on scoring goals. They are the players who have made names for themselves as some of the best goal scorers in international soccer. They have helped their teams get to the closing stages of the World Cup, even going on to win it occasionally. The World Cup has been played since 1930, and there have been thousands of players competing at the tournament throughout the years. While there have been many great players, there are only a handful of players to have scored as many goals as the players on this list. Do you know them all? These are the 20 top goals scorers in World Cup history. David Villa was a part of the Spain team that won the World Cup in 2010. Villa helped his country lift the trophy in 2010 with the five goals he scored on the way to the final. This legendary Spanish striker played in three World Cup tournaments during his career, starting in 2006 and ending in 2014. Villa repaid the faith his coaches showed in him by becoming Spain’s all-time top scorer at the World Cup. Although still playing professionally, Villa will not have the chance to score more for Spain as he wasn’t selected to play in this year’s World Cup and is expected to retire from playing before the next tournament in 2022. Roberto Baggio made a name for himself during the 1994 World Cup in the United States. He scored five goals in that tournament, almost single-handedly dragging Italy to the final, but he and Italy fell at the last hurdle. Baggio would famously miss the last penalty kick of the shootout, allowing Brazil to capture the World Cup. 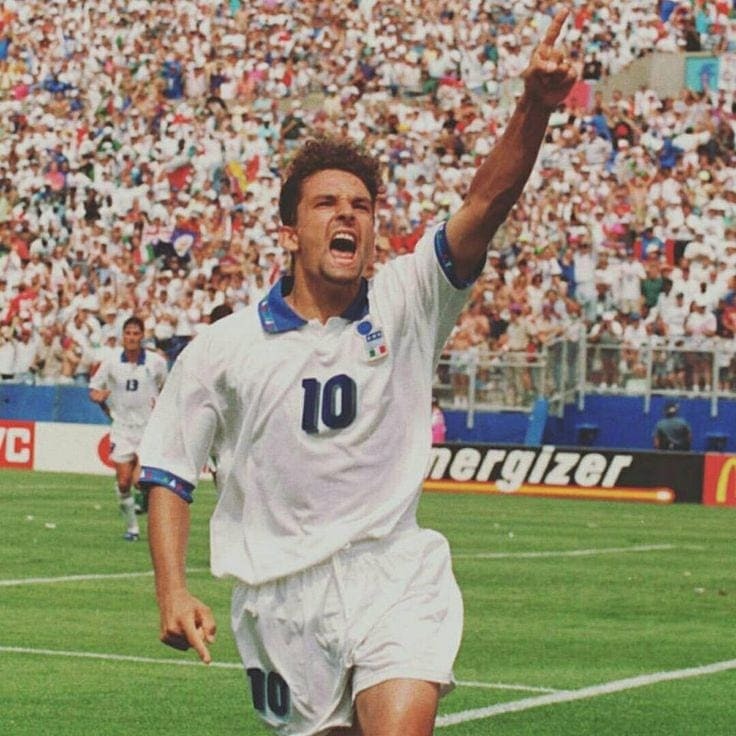 Baggio played for Italy in three World Cups and was regarded by many in his native country as their best ever player. His total of nine goals has him tied with two others as Italy’s top goal scorer at the World Cup. Baggio retired in 2004 after playing for top Italian teams, Juventus, Milan, and Internazionale. Karl-Heinz Rummenigge played for Germany at three World Cup tournaments from 1978 to 1986. With the ability to dribble through defenses, Rummenigge could turn unlikely scenarios into goals, something that helped Germany to two World Cup finals in 1982 and 1986. Unfortunately for Rummenigge, he and his German teammates were unable to win those finals, but his goals were undoubtedly a large part of them getting to the final in the first place. 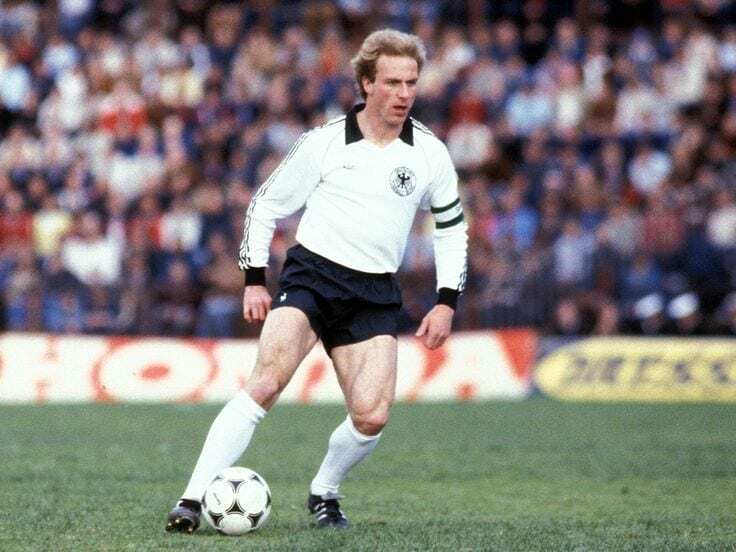 Rummenigge played for Germany 95 times in various tournaments, scoring a total of 45 goals for his country. 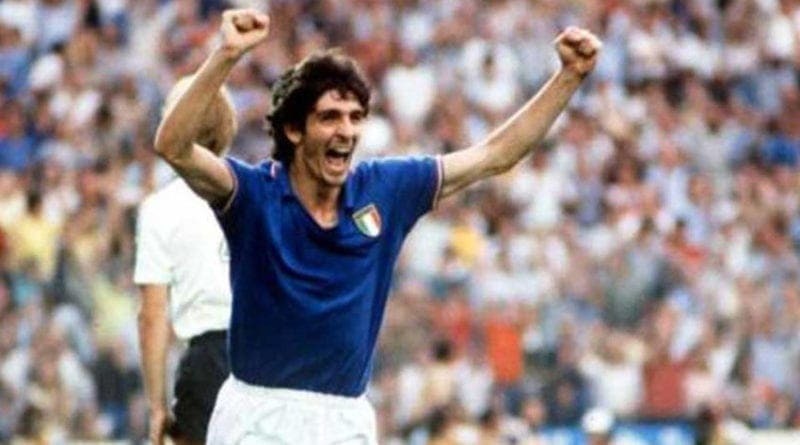 Paolo Rossi won the Golden Shoe award in 1982 for being the top scorer at the World Cup. His goals helped Italy lift the famous trophy that year, and his performances earned him the honor of being named the best player at the tournament. Rossi was also voted the best player in the world thanks largely to his World Cup performance. Rossi only played in two World Cups and would surely have added to his tally if he was able to play in a third. 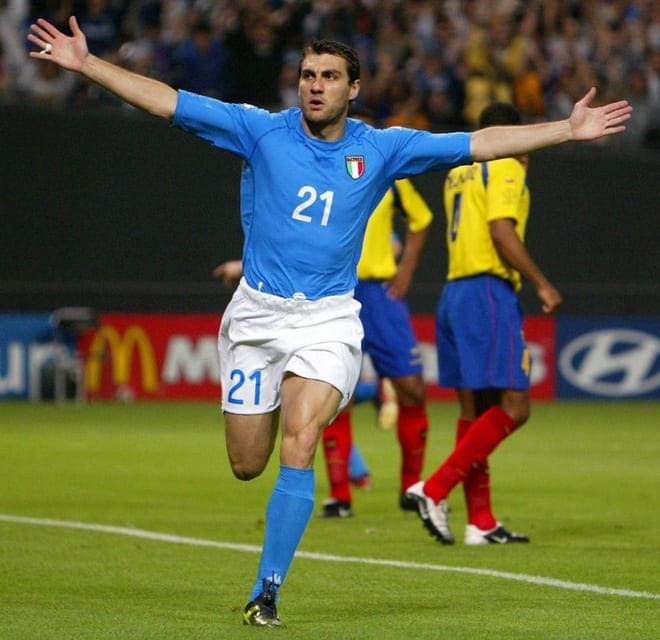 Christian Vieri is Italy’s joint top scorer at the World Cup, along with Rossi and Baggio. Vieri played in just two World Cup tournaments, in 1998 and 2002, managing to score nine goals in nine appearances over the two competitions. When he was in his prime, he was a quick forward who could take advantage of the smallest opportunity to put the ball in the goal. His nickname was “Il Toro” (or The Bull in English) as he could plow his way through a defense with his physical nature. 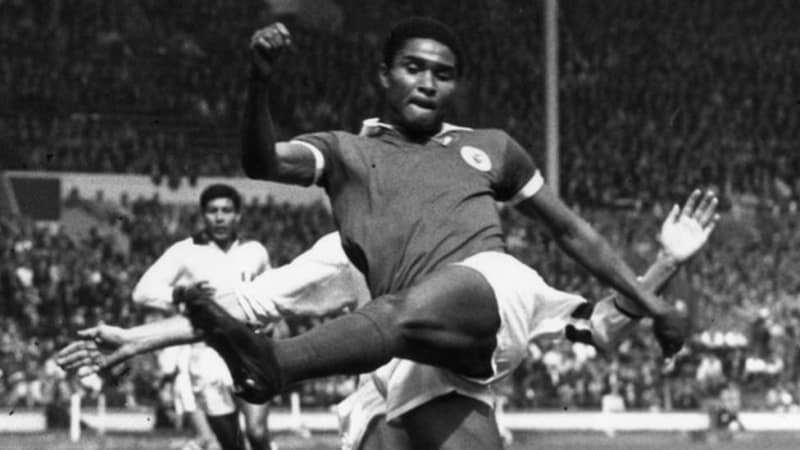 Eusebio only ever played at one World Cup, which some soccer fans believe is a shame as he might have been more prominent in the discussion for best player ever if he played in more. Portuguese forward Eusebio led his nation to third place at the 1966 World Cup in England. He was the top scorer at his only World Cup tournament and would have been higher on this list if Portugal could have appeared at another tournament while Eusebio was still playing. Helmut Rahn is a legend in Germany after he scored the winning goal at the 1954 World Cup in Switzerland. His leadership qualities on the field earned him the nickname of “Der Boss,” and he managed to score six goals at the 1958 tournament, also scoring four at the 1954 World Cup to bring his total to ten goals. 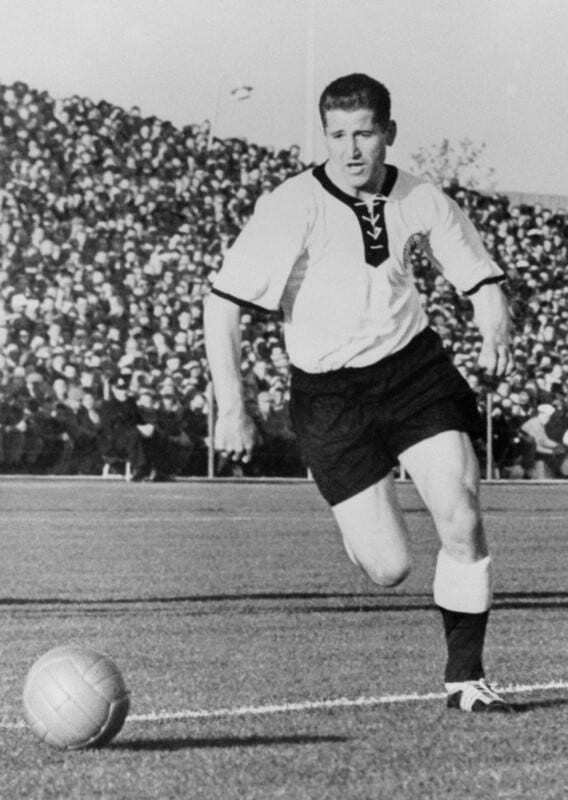 Rahn was selected as part of the all-star World Cup team of 1958, helping to bring the German team to the semi-finals on that occasion. The only player with the chance to add to his tally on this list is German forward, Thomas Müller. 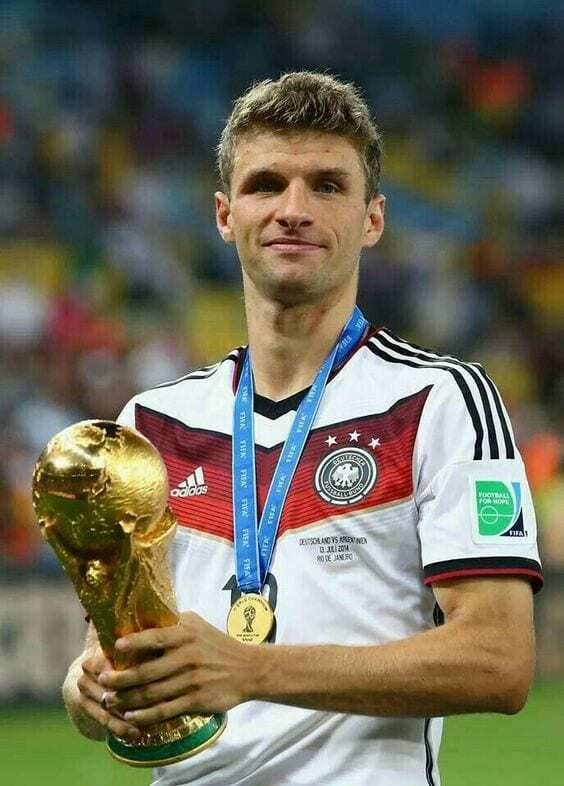 Müller helped his country win the World Cup in 2014 thanks to a hattrick in the opening game of the tournament against Portugal. Müller won the Golden Boot in 2010 and was the runner up for the same award in 2014. He will be expecting to add to his number of World Cup goals this year as the tournament kicks off soon. Gary Lineker is a player who was so focused on scoring goals he offered little else to his team. Luckily for Lineker, his ability to score goals was so high that he is England’s all-time record goal scorer at the World Cup with ten. In 1986 he finished the tournament as the top scorer, with six goals, winning the Golden Shoe in the process. Lineker was one of the most honest and fair players in the sport, ending his 16-year playing career without ever receiving a yellow or red card. Poland were once a great soccer nation, with a team that should have won the World Cup on two occasions, but fell short each time. A huge part of that talented team was winger Grzegorz Lato. Poland finished in third place at the 1974 World Cup and later repeated that placing at the 1982 World Cup. Lato was the top scorer at the 1974 tournament in Germany, finishing with seven goals, more than any other player scored that year. His total of ten makes Lato Poland’s highest ever World Cup scorer. 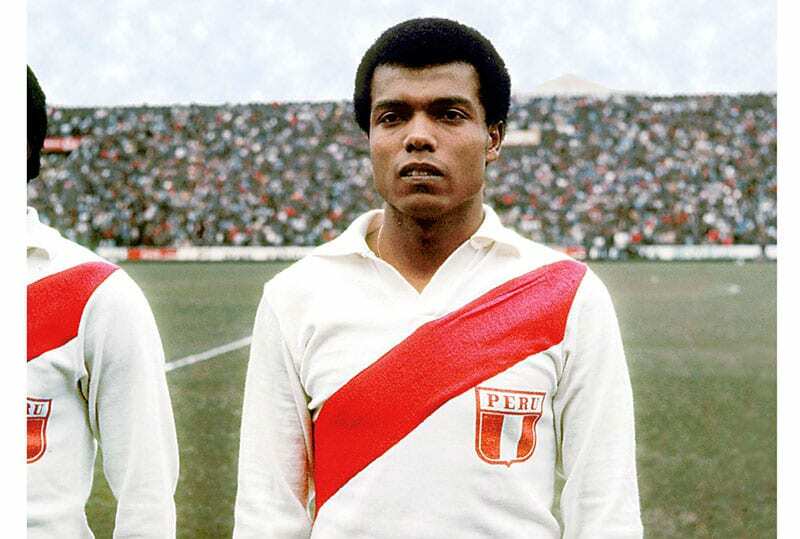 Although Peru are not considered one of the most successful soccer-playing countries in the world, they have had some special players through the generations. 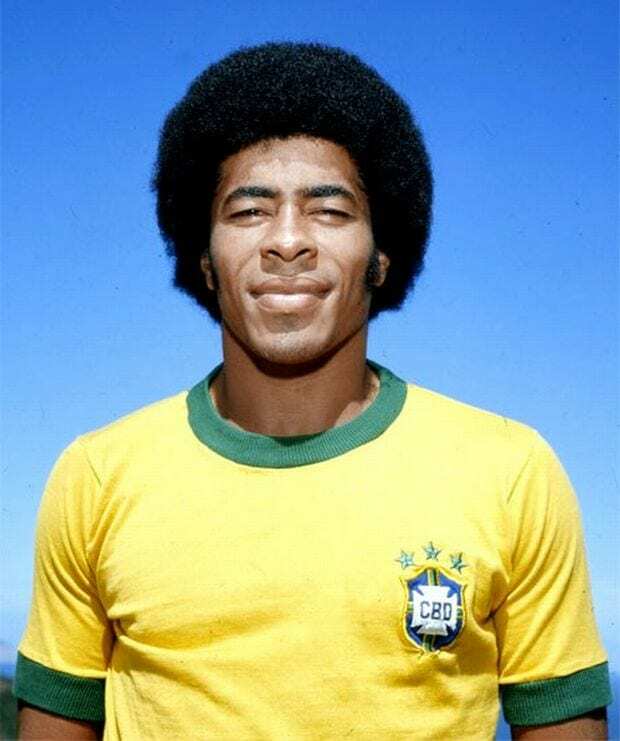 Their all-time record goal scorer at World Cup tournaments is midfielder, Teófilo Cubillas. Cubillas went to three World Cups with Peru from 1974 to 1982 and scored ten goals, despite not managing to score a single goal at the 1982 tournament. He is considered by many Peruvian soccer fans to be their greatest player ever. 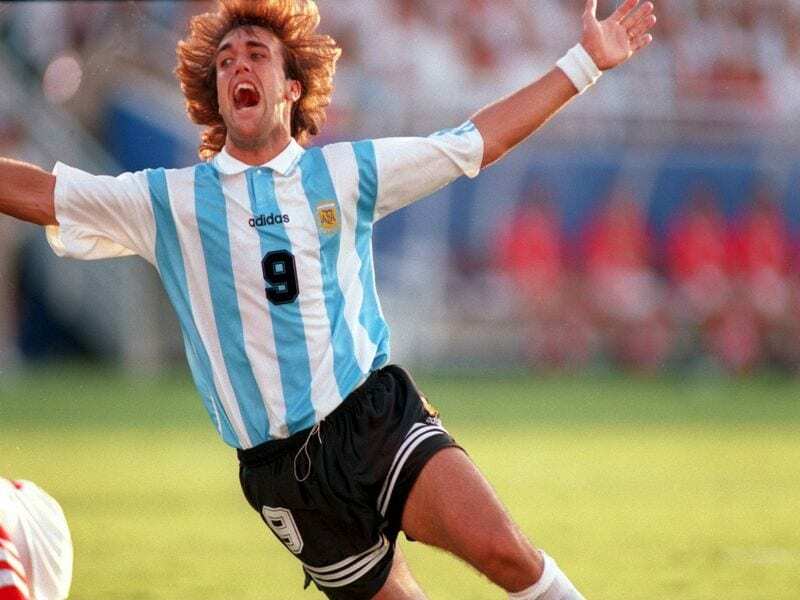 Gabriel Batistuta was a goal scoring machine. He was so good at scoring that he is Argentina’s all-time top scorer at the World Cup, scoring more than legendary Argentine player Diego Maradona. Batistuta could score with either foot as well as his head, making it incredibly hard to stop him from scoring for opposing defenders. He played at three World Cup tournaments, scoring ten goals in 12 games but never managed to win the competition with Argentina. Jürgen Klinsmann played on the German team that won the World Cup in 1990, and he scored in every World Cup tournament he played in. The ‘90s was Klinsmann’s era, and he appeared at every World Cup from 1990 to 1998, featuring in the all-star team of the 1990 competition. The striker is the sixth top scorer for Germany with 40 goals. He was famous for his diving celebration after he scored a goal. Hungary were once a force to be reckoned within international soccer. They made it to two World Cup finals in 1938 and 1954. 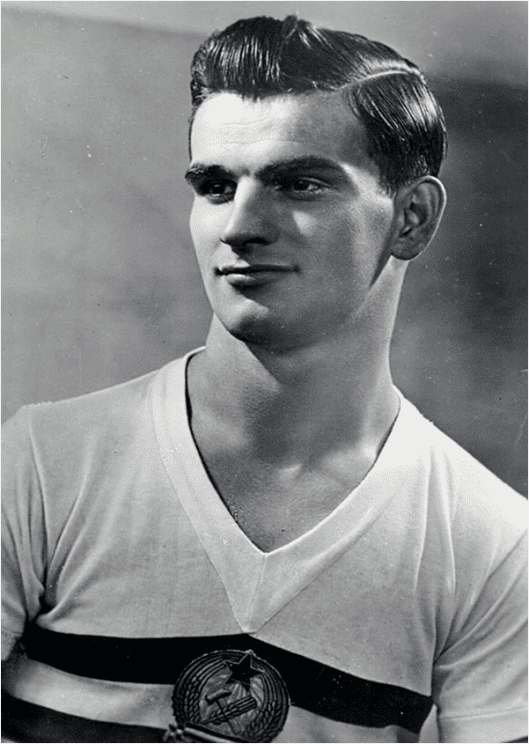 Legendary striker, Sándor Kocsis was a massive part of the 1954 team, scoring all of his 11 World Cup goals at that tournament in Switzerland. He was the top scorer at that tournament, blowing the competition out of the water, winning the World Cup in 1954 would have rounded off the tournament nicely, but Kocsis had to settle for a runners-up medal. Pelé broke onto the international soccer scene as a 17-year-old at the 1958 World Cup. He scored two goals in the final that year as he helped Brazil lift the trophy. Pelé was said to be so exhausted at the end of the 1958 World Cup final he passed out when the final whistle blew. 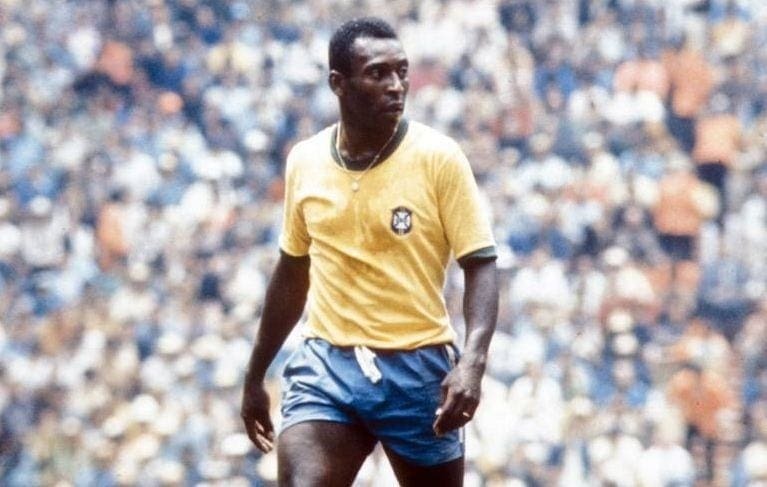 Pelé would play in four World Cup tournaments for Brazil, scoring 12 goals and helping them win it again in 1962 and 1970. He is considered one of the best players of all-time. 13 goals at World Cup tournaments is an incredible feat; not even the great Pelé or Maradona have scored that many. 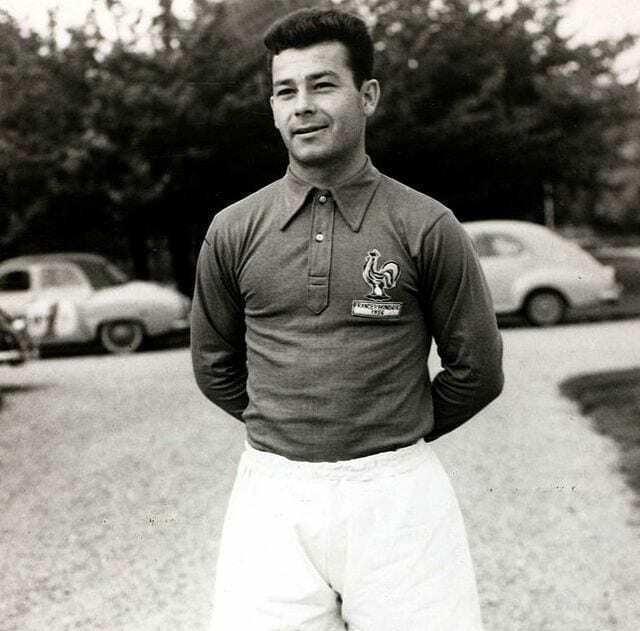 What is more incredible is that French star, Just Fontaine only played for France at one World Cup, in 1958. Despite his ability to score so many goals in that tournament, France had to settle for third place in the 1958 competition. His goal haul of 13 has never been repeated by any player at one World Cup and is likely to remain his record for a long time. Gerd Müller was an elite striker, he scored 14 goals in just two World cup tournaments. He was part of the German team that came third in 1970 and then went on to win the World Cup in 1974. 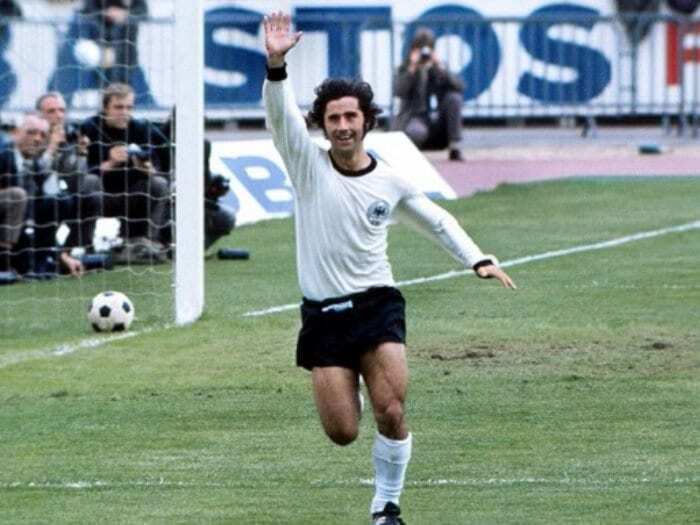 Müller’s goals played a huge role in getting Germany to the latter stages of the tournaments, and his ten goals in 1970 meant he finished the top scorer in the World Cup in Mexico. Müller scored a total of 68 goals for Germany in just 62 appearances. To score more than Pelé at the World Cup is special, even more so for a Brazilian. Ronaldo is the top scorer for Brazil at the World Cup with 15 and was nicknamed “The Phenomenon” after he dominated at his first two World Cups. Ronaldo was an incredibly powerful player, he could dribble at high speed and had an incredibly accurate and strong shot. He was a formidable striker, and he finished as the top scorer at the 2002 World Cup in Japan and South Korea. 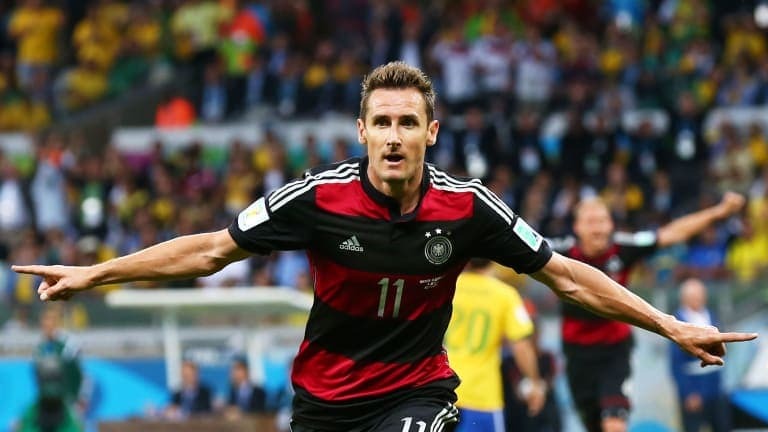 Despite not setting the world on fire with his performances for his clubs, Miroslav Klose would really turn up for Germany, especially at the World Cup. He is the all-time top scorer at the World Cup with 16 goals over four tournaments. Klose is only the third ever player to score a goal in four World Cup tournaments, beginning in 2002 before ending with winning the World Cup in 2014. Klose was the top scorer at the 2006 World Cup, also making it into the all-star team the same year. The post 20 players with most goals ever in World Cup appeared first on Sports Retriever.